These are funny!! 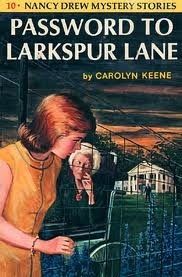 I remember reading Nancy Drew as kid and really liking them. That is hilarious! I can completely identify with numbers four and five !!! I think you have Nancy, Bess, George, and company down pat. 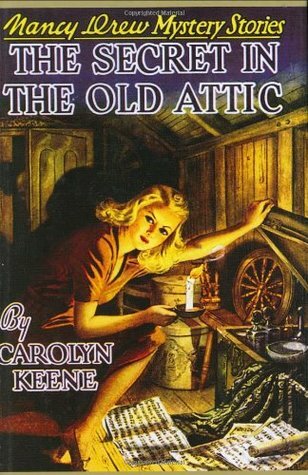 I read many, many Nancy Drew stories and have been tempted to go back and read them again. Oh, I was recommended a book that I've never picked up, but should - GIRL SLEUTH: NANCY DREW AND THE WOMEN WHO CREATED HER by Melanie Rahak. I had a friend who read this and said it was interesting. You know, I never read any Nancy Drew. I don't know how that even happened, but you've made me want to check her out. :) HAHA! Have a great week! Absolutely spot on. I especially loved #5. Snacks are the most important part of solving a case for sure. Haha! I love these posts you do. I've actually never read Nancy Drew! Shame on me. I love the bit about the snacks. And the father who is a lawyer who never keeps things private. Every house has secret passage! Love it!!! LOL, so funny. Who drove a roadster? Was it Ned? Oh, I love this list! I was a big Nancy Drew nerd, too. Maybe it's time to re-read the series. I wonder what I'd think of the books now that I'm an adult? Also, when I read these as a kid I had no idea what pumps were in relation to footwear. I just went with it. I have never read Nancy Drew! I loved your list though and thought it was really creative. Great post! I loved Nancy Drew and the Hardy Boys, too. Haha! Wonderful idea for a post! Bwahaha....I love this Katherine! I devoured Nancy Drew and the Hardy Boys as a child. I solve crimes in flip-flops and fuzzy slippers! 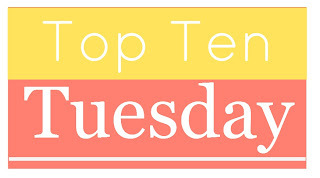 What a creative top 10! I really enjoyed reading your post. Aw, this is really clever! My cousin used to read all of these, so my family bought tons of these books as gifts. Despite liking a fun mystery, I don't think I've ever read one! These are wonderful. I love the one where you just have to throw on a wig to be unrecognizable to people who know you. Haha. Great list! I haven't read any Nancy Drew books, but I'm definitely giving this series a chance! This is terrific! So funny. I love Nancy Drew and am collecting the books for my granddaughter now and am lazily working on rereading the series. I only have the first three as of now. I never read Nancy Drew, but this is a great list! Haha, great list Katherine! It's been so long since I've read Nancy Drew! Have you ever read Kate Beaton's Nancy Drew comics? They're hilarious! Lol! Great list. You also may be Nancy Drew if the only time you ever use your credit card is to pick a lock! Too funny! I especially love number 5!